The Islamic Association of Saskatchewan, Regina is organizing a vigil in honour of the victims of the mosque shootings that took place during Friday prayers on March 15th in Linwood Islamic Centre and Al Noor Mosque in Christchurch, New Zealand. 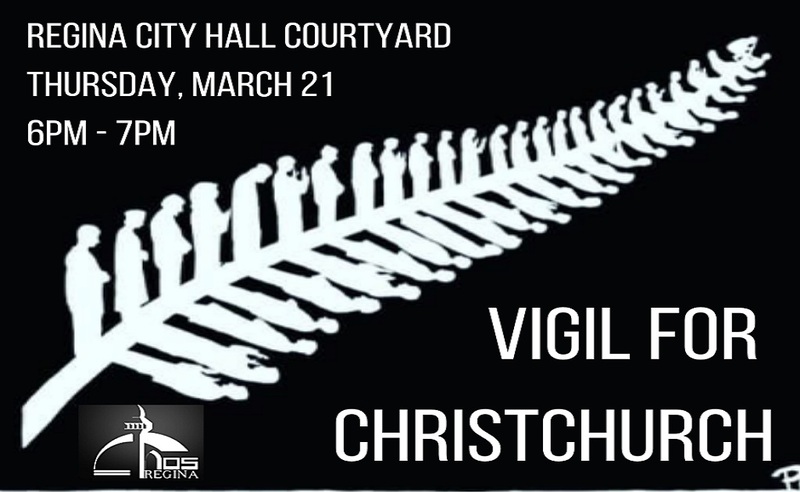 The vigil will be held on Thursday, March 21st from 6:00-7:00 pm in the courtyard in front of City Hall. We invite everyone to join us in taking the time to pause, reflect, and reiterate our commitment to unity and solidarity against the hate-fueled actions that would seek to divide us.